BEAVERCREEK — The Beavercreek police officer who fatally shot a man inside Walmart in August 2014 will not be charged. The US Department of Justice announced July 11 that it is closing the investigation into the death of John Crawford III after failing to find sufficient evidence to indict Sean Williams — the officer who shot Crawford — or Sgt. David Darcow, who was also on the scene. Security footage shows Crawford taking a call and then walking around the store. He then takes a BB gun off the store shelf. In another shot, Crawford can be seen holding the pellet gun. Police say a customer assumed it was a real gun. He called 911 and officers responded. Williams and Darcow found Crawford and according to police reports, the officers confronted him, demanding he drop his weapon, seconds later Williams shot Crawford. Both officers say Crawford didn’t obey their commands. The case sparked a national outcry, with protesters saying the officers didn’t give Crawford enough time to react. 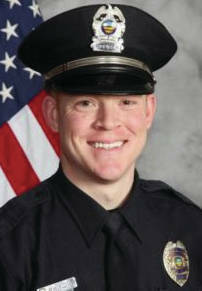 In a statement released July 12, the Beavercreek Police Department reamins behind its officers. The DOJ said the Crawford family informed of its decision. A civil suit against the two officers, the Beavercreek police chief, the Beavercreek Police Department, the City of Beavercreek and Walmart is still pending. Contact Scott Halasz at 937-502-4507. Our partners at WDTN contributed to this story.